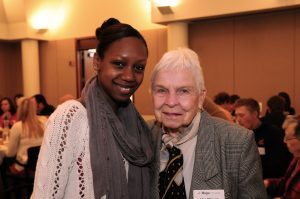 Ask Alexis-Simone Rivers who influenced her most during college, and she’s quick to recognize two people: her mother, and her scholarship donor, Mrs. Libby Hillegonds. Alexis-Simone Rivers and Mrs. Libby Hillegonds. As a shy freshman, Alexis-Simone had mapped out her future around the certainty of a nursing career. During her first year at Hope, which was a period of discernment, she realized that nursing was not, in fact, her calling. Suddenly having to rethink her vocation, Alexis-Simone was disheartened. But, knowing she was supported by the William Hillegonds Scholarship — and encouraged by her mother — Alexis-Simone found heart, persevered and even chose to study abroad the spring of her sophomore year. “Being in Argentina was my most challenging semester,” she says. Challenging, and life-changing. Alexis-Simone returned to campus with a new sense of purpose and identity. She switched her major to business and marketing, and leapt into leadership positions. She served as the Advising and Transition Orientation director, a program coordinator and mentor for the GROW Peer Mentoring Program, a core member of the Student Activities Committee, and the president of two student organizations. Alexis-Simone Rivers ’16 receiving her diploma at commencement. 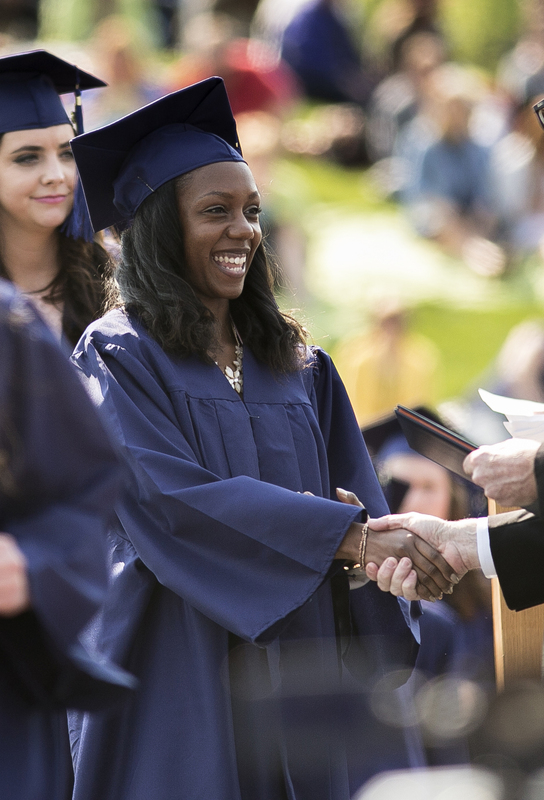 When Alexis-Simone received her diploma in May 2016, she was a different person.